I have a lot of left overs of Super chunky (Super bulky yarn) from making hats and ponchos and basically lots of wintery things. There is too much to throw away, but not enough to really do anything with it…. or so I thought! 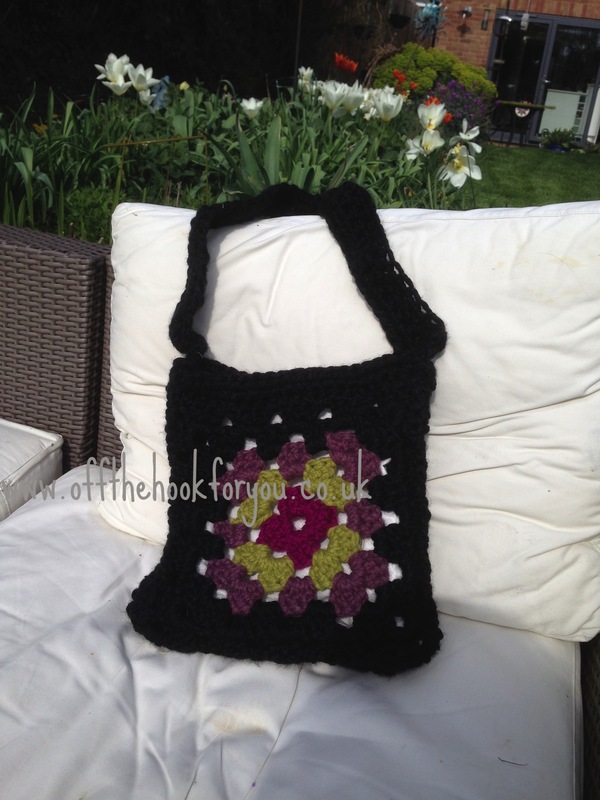 The Super Chunky Granny Square bag was born! 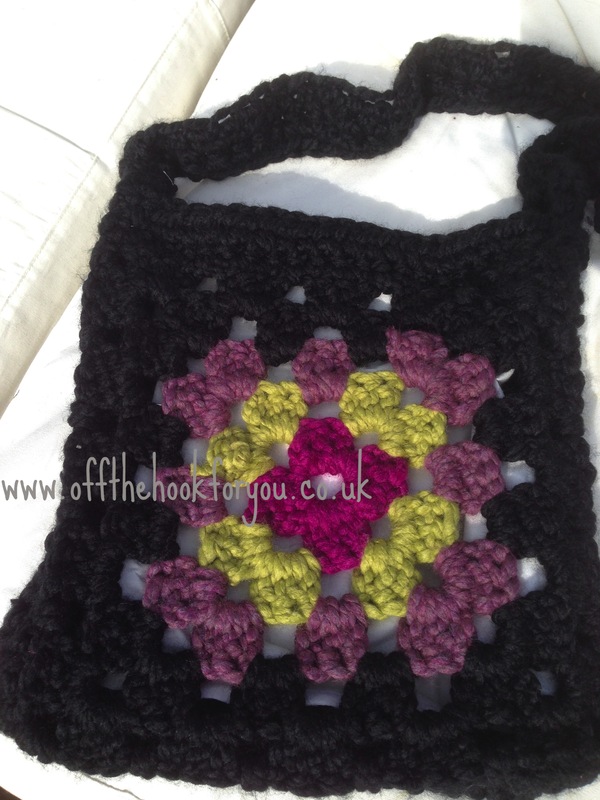 Change colour (Black) – repeat the previous row- adding one more 3 DC in the Ch 1 gap. 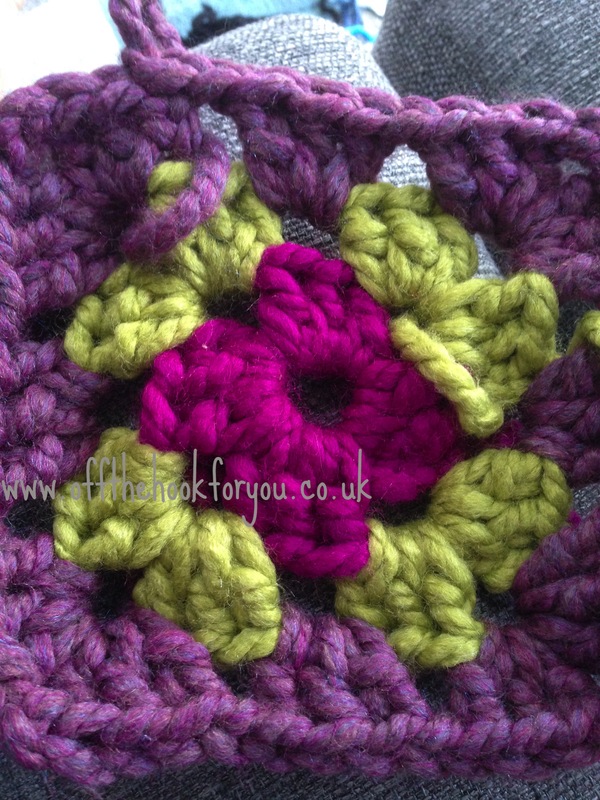 I did 2 rows (circles) this colour to get the required size. 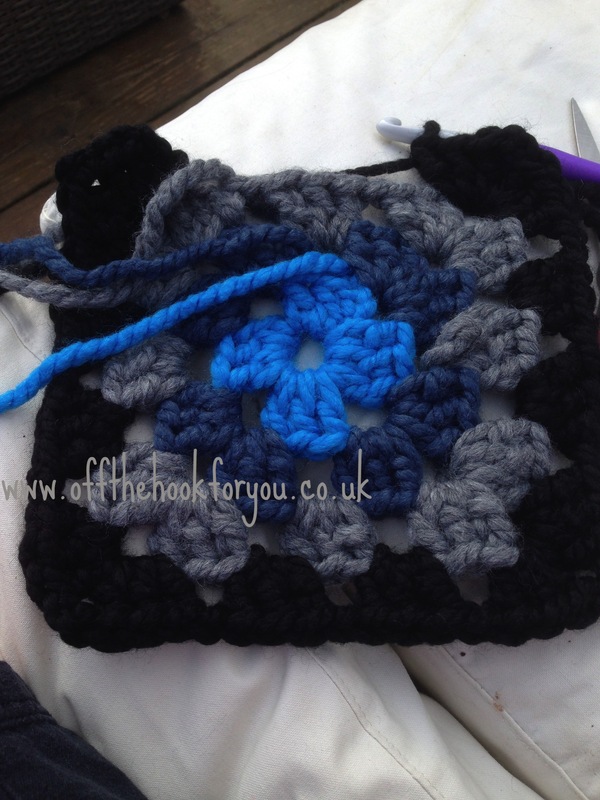 Along one side of each granny square complete 2 rows of HDC (this is now the top). Along the other 3 sides – BLDC all the way around. This will give you a nice edge on the square. Then join the the 3 sides of the square together using SS. To make the handle. 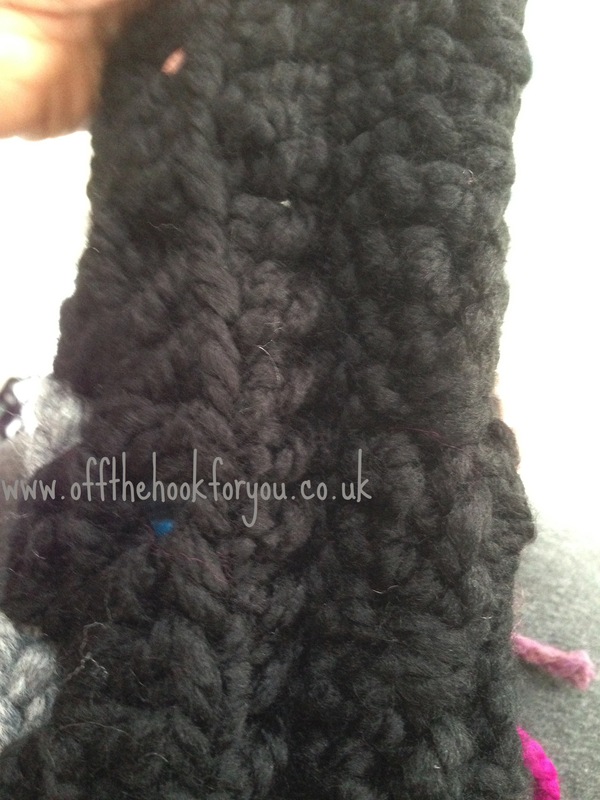 Join yarn on one of the narrow BLDC edges, FHDC 45 stitches. 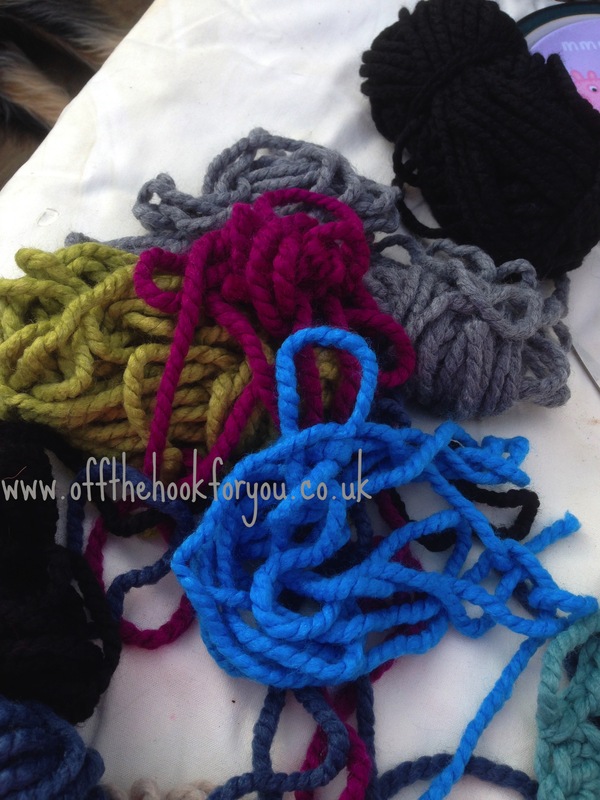 Then complete 2 further rows of HDC, and join to the other edge of the bag. 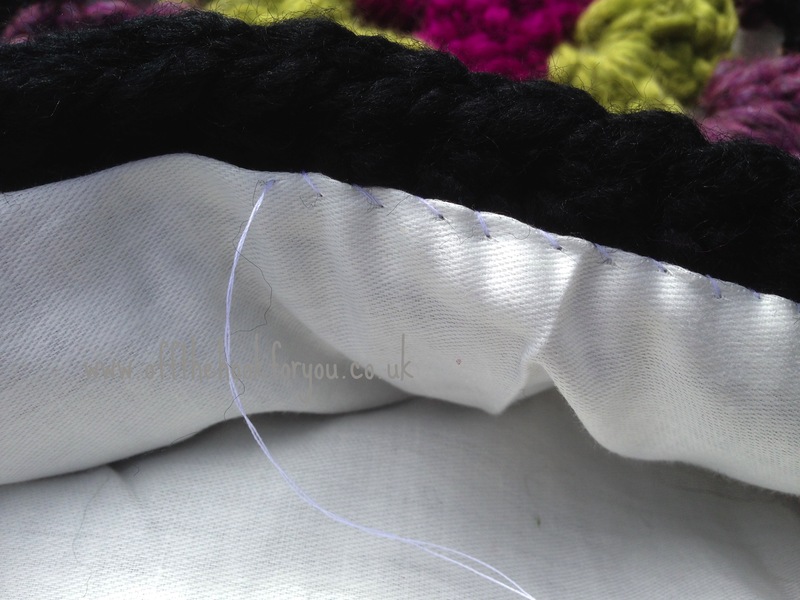 Lining – I cheated and just sewed a square together, and then turned it inside out and sewed it into the bag turning over the top edge so as not to leave it raw. 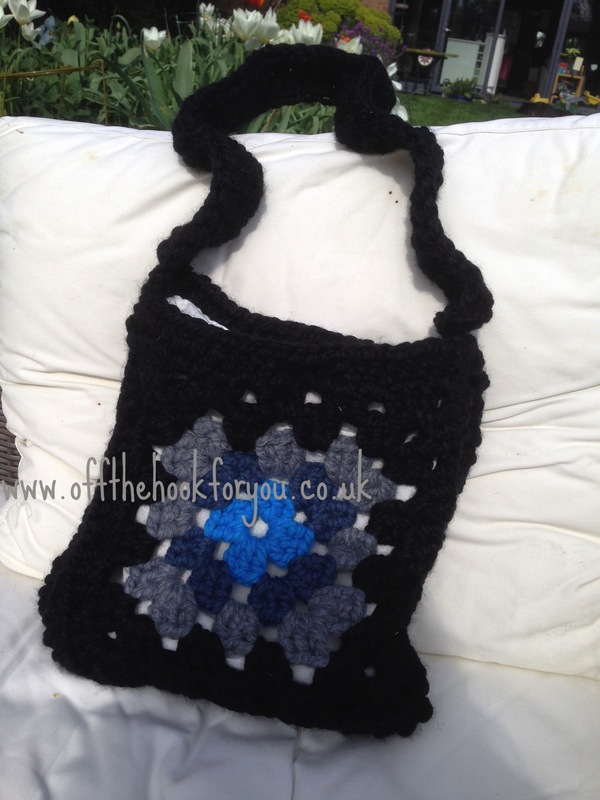 Here we are, one bag finished – 2 different sides – so depending on what I’m wearing I can display either side! 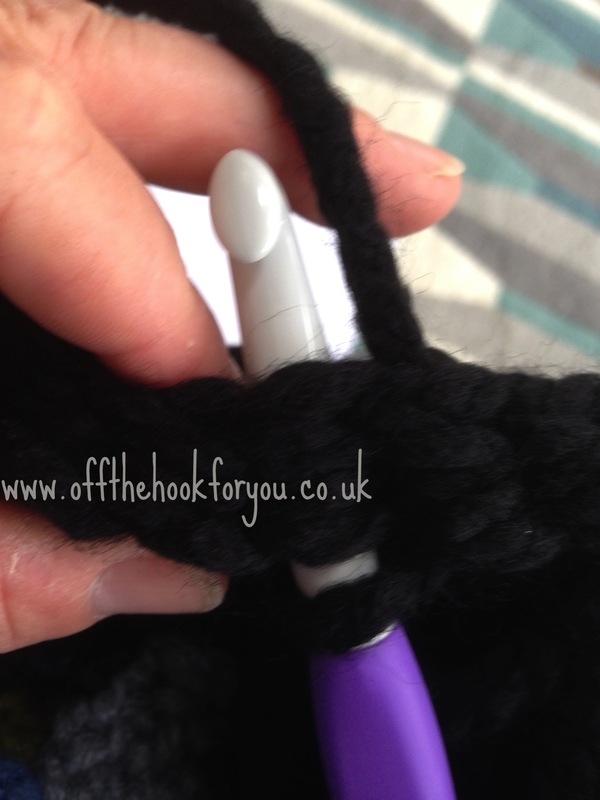 A lot more useful than having some yarn in a bag! Love the colour combinations on both sides, although I think the blue edges it slightly 🙂 what a great use for scraps!